The Secret Power of Mantras! The most potent blessing we could ever receive from a Sage, Yogi or any Enlightened Master is to receive the uplifting, igniting grace of our own consciousness. In the ancient pre-Vedic language Tamil, the word mantra is mentioned as ‘mandiram’ which also means magic- the ability to transform reality in a moment. Called ‘deeksha’, which means, initiation, the giving of a mantra by the Guru to the initiate is the single most important ritual as the mantras serve the lifelong spiritual journey through the thread of the ancient resonance- for the initiate. 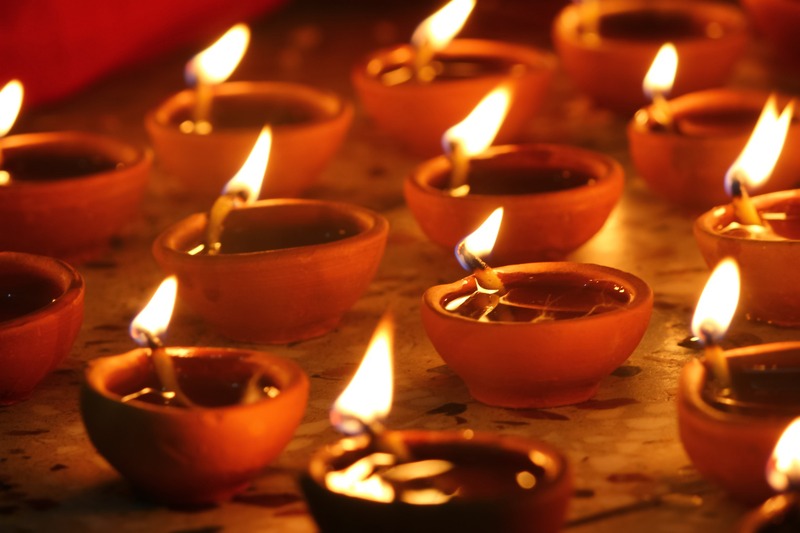 Traditionally, in India, the method of conveying awakening consciousness is especially through the mantra. In the mystical yogic tradition of the South Indian Siddhars, there is less emphasis in teachings through writings or even oral teachings and much of the wisdom is conveyed through the mantra energy that awakens the inner knowledge. Mantra recitation can be said to be the mother of meditation. With the recitation of a mantra, the mind immediately focuses on a single thought leading to transcendence - awareness beyond the mind. By reciting the mantra, effortlessness meditation is enhanced even while doing mundane chores. When we meet a higher conscious being in the form of a saint, yogi, or even disguised in the ordinary like a taxi driver, we know that we are uplifted by the words, action or simply the mere presence of that person. 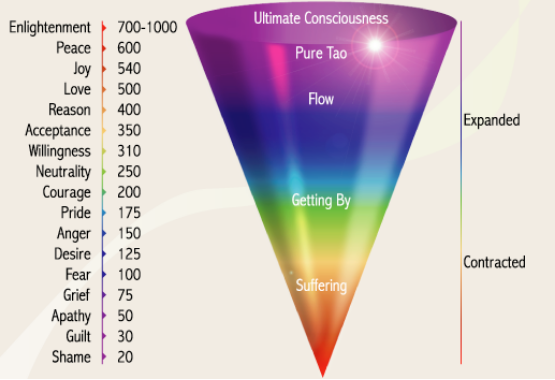 Higher conscious beings flow with a vibration of peace and harmony. It is said that when Buddha would walk from place to place crisscrossing each village and town, his presence was felt by people over ten miles around him. On feeling his presence as peace, love and calm, thousands would gather near Buddha to experience more of this vibrancy. There are many scientific studies on meditation that have proven that meditation gives more benefits to society than merely inner peace for the meditator. The effect of mass meditation has been noted to affect surrounding areas by a significant drop in crime rate. When the founder of Transcendental Meditation, Maharishi Mahesh Yogi, would conduct a group meditation with hundreds of persons, the drop in crime rates in the surrounding area where the meditation was being conducted was observed to be consistent. This energy field produced by meditation has, for a long time, been referred to by yogis as consciousness. Sages, yogis, and Masters of higher consciousness in India have for thousands of years imparted consciousness through the mantra. When receiving the mantra from a Guru, understand the significance of this to be an initiation in which we are forever connected in consciousness with the Guru. By reciting the mantra, the seeker is able to climb above states of consciousness and become the master. Every time we chant our mantra, we are invoking the presence of our Guru. An enlightened master’s presence in our lives is protecting, nurturing and guiding and gradually, our own consciousness becomes the presence of the master. Each mantra holds a specific dimension of reality- for instance- when we chant a mantra for the Goddess of abundance, we will see that reflect abundance in our realities. Understand the power of recitation of mantras to be tapping into the realities we desire. For instance, when there is a deep fear and we recite a specific mantra, we are creating an energy field to protect ourselves. The more we trust the abilities of the mantra and recite the mantra from our heart in its intent, the better the mantra works to create the specific reality that we seek. Through chanting the mantra, we begin to tune into the inherent vibrations within the mantra and in alignment with those higher vibrations, our mind also perceives thoughts from a higher place. When we chant the mantras, our mind is slowly brought to a singular focus like a magnifying glass that converges sunlight into a fire. Any intent held through the mantra is magnified due to the intensity of focus and an intent that has been held long and thus brought to reality. Nearly all mantras carry the intent of invoking a specific facet of God/Source. Through chanting the mantra we develop a singular focus on the invoked Deity. Extended over years of chanting, we realize our connection to the invoked Source/God more and more, and with greater ease. By chanting the mantras, our inner journey to Source/God has begun. Slowly we begin to realize our breath becoming deeper and slower thereby utilizing more of our lungs. This is a natural process that reciting a mantra accomplishes. With enhanced breathing, our mind also thinks optimally from the center of harmony. As we chant the mantra, we transcend the limits of the mind: Reciting mantras induces bliss due to the mind slipping away from its past momentum and acquiring the stress-free “Now” moment. We awaken to the “Now” moment that is devoid of worrying about the past or future when the mind is subdued to the ever-present harmony in the core of our being. We are able to experience a state of joy within the mantra that the Sages of antiquity held on to. Holding on the state of joys embedded within the mantra, we begin to expand this state of joy in our being - as in a body of bliss, as in realities of bliss and in perceiving all realities from the state of bliss. 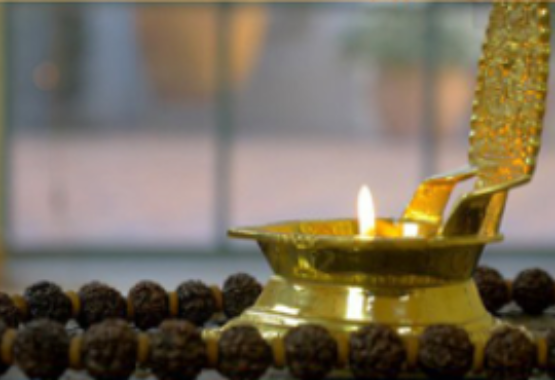 We realize the mantra chanting as a way of connecting our consciousness with our Guru, who imparted the mantra. When we perform acts of goodness and kindness (dharma) we are increasing the power of the mantra. The mantra serves by being the facilitator to higher consciousness and when we utilize the wisdom of higher consciousness to do good, we are allowing the flow of grace that is awakened through our expanding consciousness. 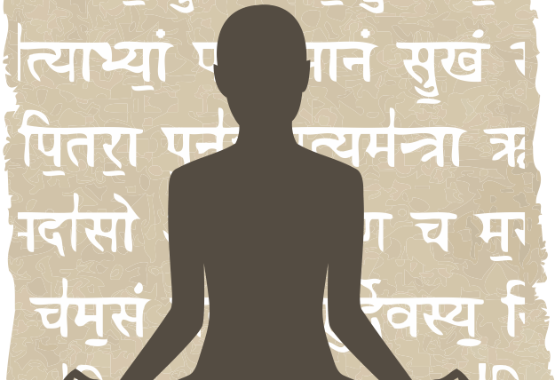 The more we chant the mantra, the more potent and powerful the mantra becomes. As we chant the mantra over longer periods of time and over the years, we realize the mantra’s effect on reality in daily miracles and its potency in realities caused. With time, the mantras we constantly recite mature and gets ‘cooked’. When the mantra is ‘cooked’ over a period of time, the mantra can now be given to another as a field of consciousness that easily alights anyone ready for more consciousness. Even to simply listen to the mantra chant of an enlightened master can shift our consciousness partly because the mantras have been ‘cooked’ by the master and the mantra is embedded with blessings of all masters who chanted the mantra before as the lineage behind the mantra. Chanting the mantra transforms the mind into an effortless meditative state. When the mind is at a meditative state, our consciousness expands to imbibe all the positive attributes such as less stress, increased empathy, more focus, more optimism, more unconditional love, and so on. It is wise to receive our mantra from an enlightened master as most mantras are passed from Guru to disciple, with the mantras having been chanted by each Guru over a whole lifetime. When we chant the mantra, we are tapping into the primal vibrations of all masters of the past in our own expanding consciousness. When we recite mantras that have a history of the lineage, we are able to align to the ancient lineage of the Gurus as guidance, protection, and grace in our inner journey. Recent scientific studies attest that meditation does help those with ADD. In this age when from childhood our mind seeks inputs of music, television or information and with mass intake of information and working online, it is only natural that our mind is trained to have an attention deficit. The methodology of meditation with the principle of awareness of breath and eradication of thoughts simply does not work- especially for those of us in urban areas. Reciting the mantra is perhaps the surest way to not only quiet the mind but also to train the mind to focus on a single point for a longer period of time. Through chanting, we enhance the mind’s ability to meditate to climb above the normal patterns of the mind. In ‘climbing above the mind’ we are able to think outside the box of limitations. Most of the amazing minds of history, from Albert Einstein to Isaac Newton were able to touch base with the spiritual essence beyond the mind and ‘see’ the higher perspective that we refer to as ‘genius’ and great intelligence. When we go behind to understand the awareness that exists beyond our thought pattern and thinking process, we are tapping into a state of super-consciousness- that the yogi sages call, the state of turiya. Chanting leads us to this super consciousness state that all beings of higher consciousness experience. With the essence of the mantra being the energy field of connecting between our own consciousness and the consciousness of the guru behind the mantra, each act of goodness that we do empowers the mantra in its potency. Since mantras enhance realities as our energy within manifesting the reality we desire, the realities we manifest is directly related to the mantra energies we awaken. 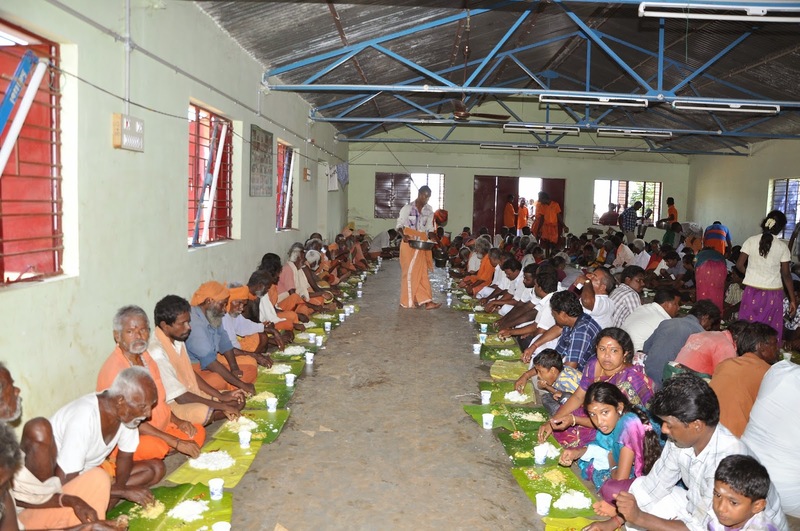 When we do charitable good deeds, the mantra within us feeds on the good energies created to become even more potent. Through mantras, we change patterns of our past thinking. The spiritual history of India is filled with ignorant persons who were earlier, robbers and murderers wanting to change their lives; surrendering to a mantra and then emerging as enlightened masters. All it takes to awaken the highest wisdom within ourselves is the initiation through mantra and then our journey to become a master unfolds. When we are ready, the right mantra is received. Awaken to higher consciousness by invoking your Inner Guru. Va Va Va Va Yen Guru Natha is a powerful mantra of the Tamil Siddhar yogis, the enlightened masters. The chants invoke the Ancient Presence within ourselves that is the Master. Sing along! Dance along! Sway clockwise as you allow the kundalini fire with you to spiral upwards! The mantra means- "Awaken in me as the Guru. Come to me as higher wisdom. Awaken to be the Being of Light. Let me the Master of Light" Beyond thought and breath is the breathless realm of fire, light, and resonance. This sacred fire is the Presence of the Master, as wisdom. 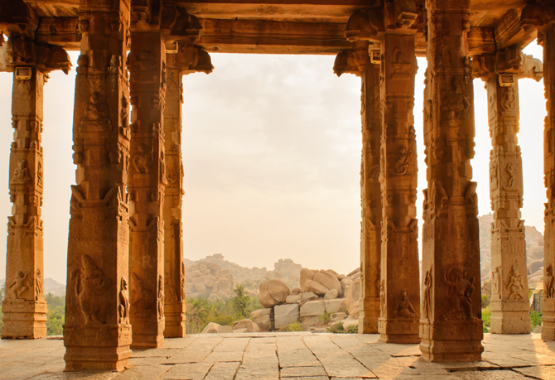 If you would like to experience ancient Tamil mantras with both meditative and upbeat rhythms, check out the Siddha Mantra Chants of Turiya Nada. Many of these chants have never before been released to the public at large. CLICK HERE TO LEARN MORE/LISTEN! 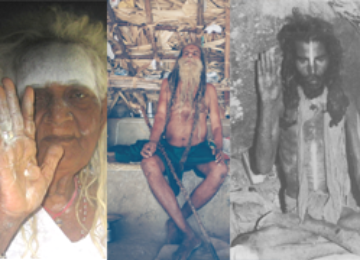 Bio of Author: Nandhiji is a mystic, yogi, visionary, humanitarian, artist, ecstatic chant musician, author, and teacher. Nandhiji represents the path of the Liberated. He shares the rare wisdom and teachings of the seldom-revealed source of yogic wisdom of the Siddha Sages, the liberated mystics of South India. 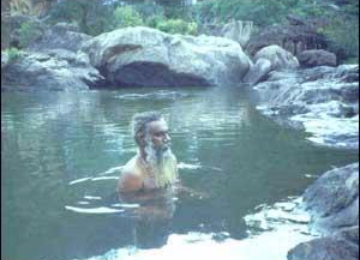 This article excerpt is taken from the book Mastery of Consciousness by Nandhiji. For more information about Siddha Teachings & Resources Click Here.